Accepting the Caribbean Court of Justice (CCJ) decision that bars him from running for another term as president, Opposition Leader Bharrat Jagdeo yesterday said the ruling does not stop him from having a formal role in a future People’s Progressive Party (PPP) government, which is what he is pursuing. “I expected this outcome,” Jagdeo told a press conference yesterday after the ruling. 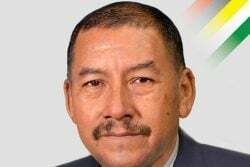 “I believe in adhering to the laws of Guyana and the Caribbean Court of Justice interpreted that law and it remains our law,” he added. In a long-awaited ruling, the CCJ yesterday upheld the constitutionality of the presidential term limit, overturning decisions by the local courts that had contended that the amendments to the constitution that made Jagdeo ineligible for election were unlawful. 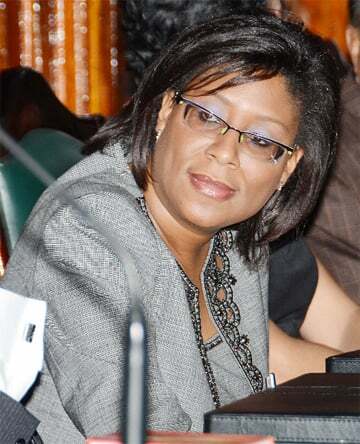 Both Jagdeo and the PPP had distanced themselves from the case, which had its genesis in a challenge to the amendment by a private citizen in 2015. “I have to think about me too,” he added, while noting that although he went to nearly 40 countries and has bought books he intended to read, he has yet to get to it. “I have them all stacked and I have not have time to read them. I just want to read them. There are lots of things I can do. The next period you would see me working but I don’t want to be trapped,” he added. 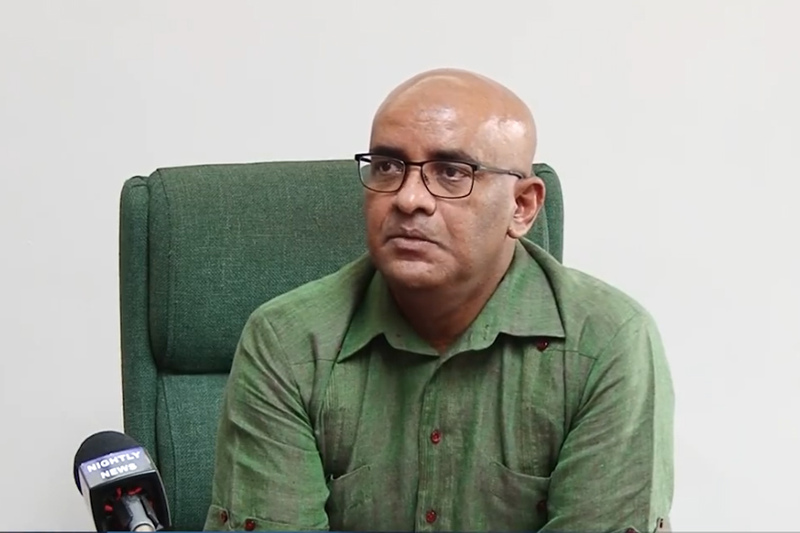 With PPP/C parliamentarians Juan Edghill and Nigel Dharamlall as well as party members present in a show of support, Jagdeo further told reporters that the decision does not bar him from having a formal role in a future PPP/C government. That formal role, according to Jagdeo, should allow him a “three days per week job” that would allow him to influence the policies of whichever PPP/C presidential candidate is chosen. He said although his proposition may seem lopsided, that person will benefit significantly from his knowledge and experience of 20 plus years in managerial and planning capacities, coupled with the two-plus terms he served as president. “To define any role now would be premature, but one thing I am sure is that I am sharing the policy experience that I have gathered from 20-odd years in a field with whoever. I want that,” he said. “I want the PPP supporters to know this: I will be an integral part… I will have a formal role this time around because I have enough policy experience to share that with whoever becomes the president,” he added. Reading a statement he had released last Saturday, Jagdeo reiterated that he would continue to lead the PPP as it goes into the 2020 general and regional elections and would ensure that he secures a formal role in government should his party win those elections. “Unlike the 2011-2015 period, where I played no formal part in the PPP Administration, I intend to be a formal part of the next PPP government as we resume the implementation of plans to build a better country of which all our people can feel proud,” he added. When asked about specifics of the formal role, Jagdeo yesterday said that he did not want one that required too many formalities in terms of the execution of his duties as he found cocktail engagements and other ministerial duties “a waste of time” that could be used for planning policies. “…I want to have a say in the policies that we pursue in the next government. First of all, it is a formal role in government, not about selection. I do have a role as General Secretary that will lead the process that will end up with a presidential candidate. So, as GS (General Secretary), that is my responsibility,” he noted. “In the government, [during] 2011 to 2015, I was accused of being the man behind the president…I had no formal role. In 2015, that changed because you had a lot of our supporters saying, ‘You abandoned us in 2011.’ And, so you can recall we said that if the PPP won in 2015, that I would have headed an Economic Commission to see that the economy continues to grow, etcetera. I was saying that in 2015… I would have gotten a formal role. So, my role now… I am hoping we select a candidate that would enhance us so that I don’t have to be second guessing everything of whoever is there. But I think, it would be a comfort to whomever is there that I will be working to ensure that person’s government is successful,” he added. 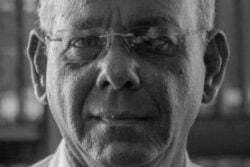 Asked if he believed that there was a role for former president Donald Ramotar in the party, Jagdeo said that like himself, Ramotar also has experience to offer. “There is always a place,” he said. “I thought it could have gone either way. However, this law was arrived at not without the broad participation of the Guyanese people. We had a lot of consultation on the ground and it went through a parliamentary process where there was not a single dissenting vote. It was unanimous. So you can see the justification for the way the ruling went,” he said. “At the time when it was made, we all felt it was good for the country and I don’t think that much has changed,” he added. The former president said he believed that the ruling comes at a time when the party has very strong support and a number of persons with the characteristics to be a good president. “The party will have to decide on who the leader will be but I can tell you that the party is in a fortunate position now. There are many good persons to choose from,” Ramotar said, although he would not name anyone.